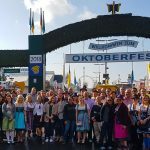 The mere mention of the word Oktoberfest sends everybody’s mind to Germany and in particular to Munich, the capital of the world famous festival. Yet the world’ second largest celebration of beer takes place in Brazil and the city of Blumenau situated within the southern province of Santa Catarina along the valley of the Itajai River. Geographically Blumenau might seem on the surface to be as far removed from Bavarian culture as possible, the city with a population of 293,000 actually has strong historical ties to Europe. In 1850 the German pharmacist, Hermann Bruno Otto von Blumenau together with 17 other German farmers arrived by boat and settled a small colony. Over time, these colons gradually abandoned their native language, though never completely lost touch with their roots. 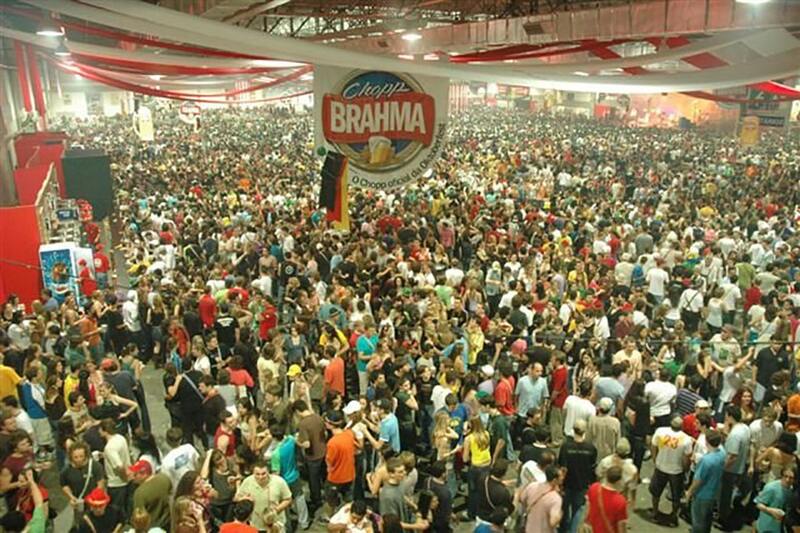 The largest German party in Brazil was first held in 1984 and was so successful that in just 10 days of celebration over 10,000 people (or more than half of the city’s population at the time) attended the festival under the pavilion. In successive years Oktoberfest Blumenau expanded across two pavilions and in its third, it became necessary to utilise the Sebastião da Cruz – Galegão gymnasium to cope with the influx of visitors from outlying regions and neighbouring countries. Upon arrival in the city of Blumenau most can’t believe they are still standing on South American soil. The vibrant Brazilian city boasts a number of architectural attractions designed to replicate the atypical scenery and atmosphere of an historic European metropolis. Brazil’s Oktoberfest in Blumenau has grown to become one of regions most popular festival events and currently attracts an estimated 600,000 people from all corners of the globe. 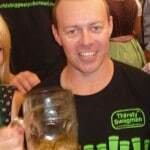 In typical Oktoberfest style, attendees have been observed drinking some 7 million litres of alcohol with an average amounting to just under one litre per person, a statistic that holds true. 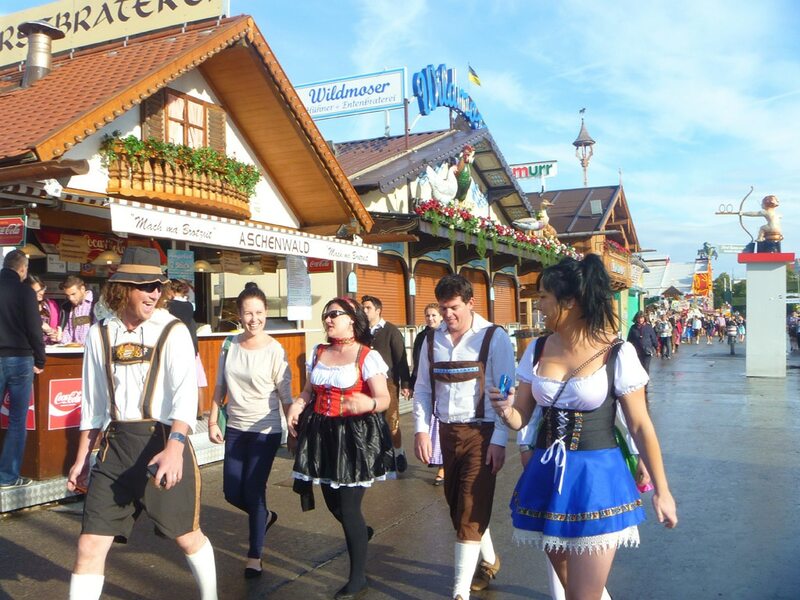 Despite the festival only being thirty years old, tourists will still be able to find everything in Blumenau’s Oktoberfest that they could in Munich when sightseeing. Visitors are able to immerse themselves in all of these aspects of Bavarian culture due in part to services provided by local sporting, and leisure clubs, and folk dance groups. The 18 day festival of beer continues to celebrate the memory, folklore and traditions of its Germanic counterpart as reflected in Blumenau’s love for German and Brazilian music, parades, a traditional Biergarten as well as authentic German food. If you’ve not attended Oktoberfest in Europe and are unable to reserve your flights and accommodation, consider experiencing all that Blumenau has to offer as host of the world’s second largest beer festival. 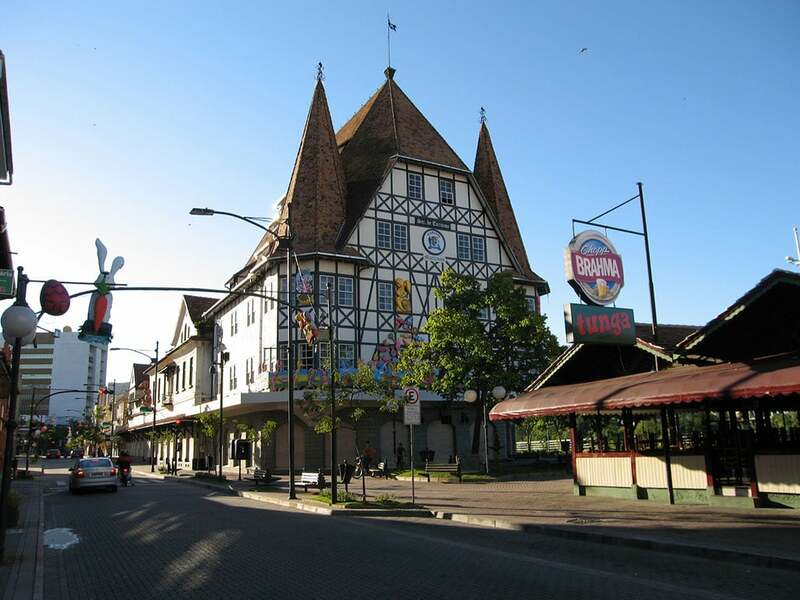 There is much to see and do in and around Blumenau’s answer to the iconic festival and it’s possible to experience it all against the beautiful backdrop of half-timbered buildings and red tile roofs. The streets are lined with quaint vendors, plenty of German restaurants and wherever you look, there’s always something new and interesting to explore. Yes, the people in Brazil know how to party! 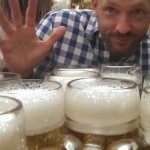 Our Oktoberfest Blumenau tours are coming! Contact us today for details.